PLEASE NOTE This is in 1/144th scale. 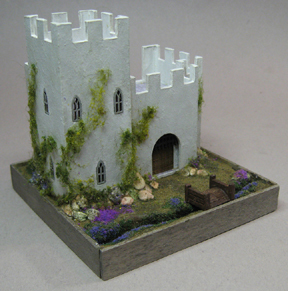 Please see QSH101 if you want the quarter scale Castle Kari. This 1/144th scale Castle Kari comes with 5 windows, the massive wooden front entrance door, 'faux' iron gate, base, resin fireplace and bridge. Printed stone flooring. The kit is laser cut from basswood. 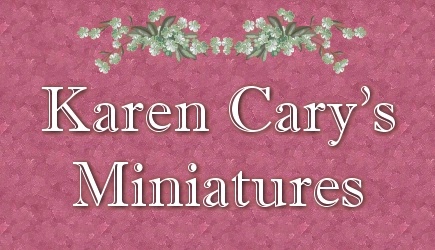 3-3/8" wide x 3" tall x 2-1/4" deep, Base is 3-5/8" x 3-5/8"